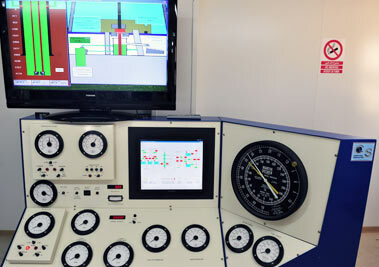 To comply with the requirements of oil drilling operations, the Training Centre provides training on a drilling rig simulator for engineers, superintendents, supervisors, site managers, and postmasters of international oil companies who wish to obtain IWCF (International Well Control Forum) Surface BOP Stack Certification, which is exclusively issued by the RedMed Group. Training courses are intended for project managers and drilling companies, as well as service companies in close collaboration with drilling companies. 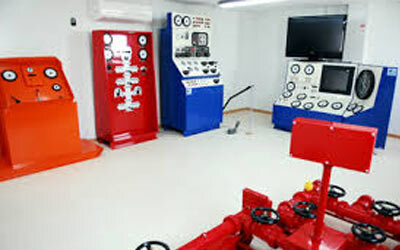 The Training Centre’s programme includes courses on: the identification of kick causes, extension, drilling safety methods, and equipment set up. 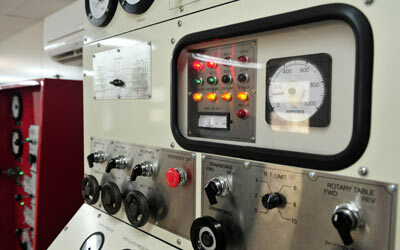 The supervisory staff is composed of industry experts and professionals with a great deal of experience in the field. The courses are offered in French and English. Asia: Thailand, Viet Nam, Malaysia. America : USA and Canada. The Middle East Region: Jordan, Iraq, Tunisia, Libya, Yemen, Palestine, Syria. 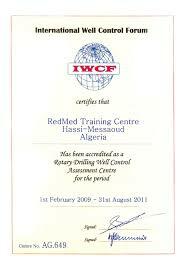 Qualification and certification The Training Center offers trainings for Oil companies working in Algeria and abroad. Certification International Certification International Well. 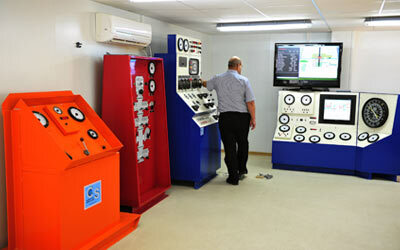 The Training Center offers trainings for Oil companies working in Algeria and abroad.